Click here to visit the American Family site and register a new account with them. 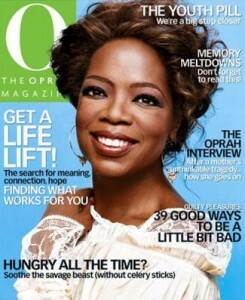 The first 8,000 people to do so will get a free Subscription To “O” The Oprah Magazine. Please note that after you register, it’ll show you about 5-6 offers. Just click “Skip” on them. thank you. i love O magazine. Got it! Thanks alot American Fam. Haven’t seen this yet but I have heard nothing but good. “O” is so hard to put down until it is read from cover to cover!